Oh, but, before I begin I want to mention that I buddy read this book with the lovely Pari (For the Official Love of Words) and while neither of us got what we expected from this book, I really loved getting to meet a new bookish soul. 1. I went in expecting a murder mystery. The blurb begins with the line “A Dark and Suspenseful story from the author of…” and also, it alluded to the Famous Five, Enid Blyton’s famous series WHO SOLVED MYSTERIES. MYSTERIES. 2. Since I was expecting a grown up version of my five favourite childhood detectives (along with Nancy Drew) the first seventy pages of this book were like a snooze fest for me. There was pretty much nothing going on and I WAS JUST SO BORED. 3. 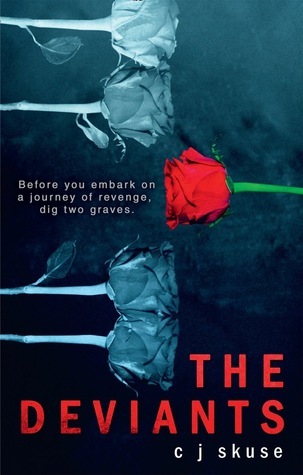 This book should have been marketed as a DARK YA CONTEMPORARY NOVEL. Because that’s what it was. A CONTEMPORARY novel. There was NO Famous Five mystery surrounding the book and the “Famous Five” (Fearless in this book) were just a bunch of ordinary teenagers trying to be adults SO BADLY. Apparently, life was just something that kept throwing bad stuff at you at EIGHTEEN. I’m EIGHTEEN. WHAT LIVES ARE YOU LIVING? 4. While the book didn’t give me what I expected, the story was still good. I wasn’t in a state of suspense, nor was there a mystery BUT THE ACTUAL PLOT OF THE BOOK WAS QUITE GOOD – the description was just misleading. Almost all of the characters had a lot of secrets and there were A LOT of twists but again, they weren’t of the kind I was expecting. 5. I didn’t get the characters. I didn’t understand the character’s whose viewpoint it was told from (Ella) I didn’t get Corey or Max or Corey or Fallon. They were all teenagers trying SO DESPERATELY to be more mature than they were. Also, THERE WAS NO PARENTAL SUPERVISION IN THIS BOOK. Oh, Fallon wants to have a baby when she’s a high school dropout? WHY NOT? Corey wants to be a substitute father and drop out or work and not go to uni? DON’T THINK TWICE ABOUT IT. It felt really unlikely that things like this would happen in the real world. 1. It always takes me a while to get used to British slang but I liked the way is gave a little bit of authenticity to this book. Honestly, not the best book I read because what I expected and what I got were TOTALLY different things. If someone had told me this was a dark YA CONTEMPORARY, I probably would’ve liked it a WHOLE lot better. 3 stars. C.J. SKUSE is the author of the Young Adult novels PRETTY BAD THINGS, ROCKOHOLIC and DEAD ROMANTIC (Chicken House), MONSTER and THE DEVIANTS (Mira Ink). She was born in 1980 in Weston-super-Mare, England. She has First Class degrees in Creative Writing and Writing for Children and, aside from writing novels lectures in Writing for Young People at Bath Spa University. C.J. is currently working on adult novel SWEETPEA for HQ/HarperCollins (out April 2017). C.J. loves Masterchef, Gummy Bears and murder sites. She hates carnivals, hard-boiled eggs and coughing. The movies Titanic, My Best Friend's Wedding and Ruby Sparks were all probably based on her ideas; she just didn't get to write them down in time. Before she dies, she would like to go to Japan, try clay-pigeon shooting and have Ryan Gosling present her with the Academy Award for Best Original Screenplay. You can find C.J. Skuse on Facebook or on Twitter www.twitter.com/CeejaytheAuthor. Who were your favourite detectives? The Famous Five, The Secret Seven, Nancy Drew or The Hardy Boys? 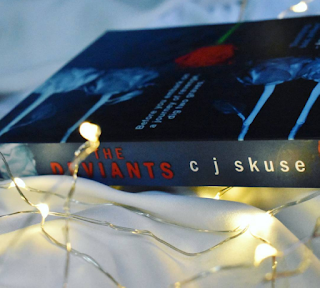 Have you read The Deviants? What did you think of it?